The Apatcheez were very busy this week and several projects were begun after the finishes of the past two weeks. That means that I don’t have any finished quilts to show you. 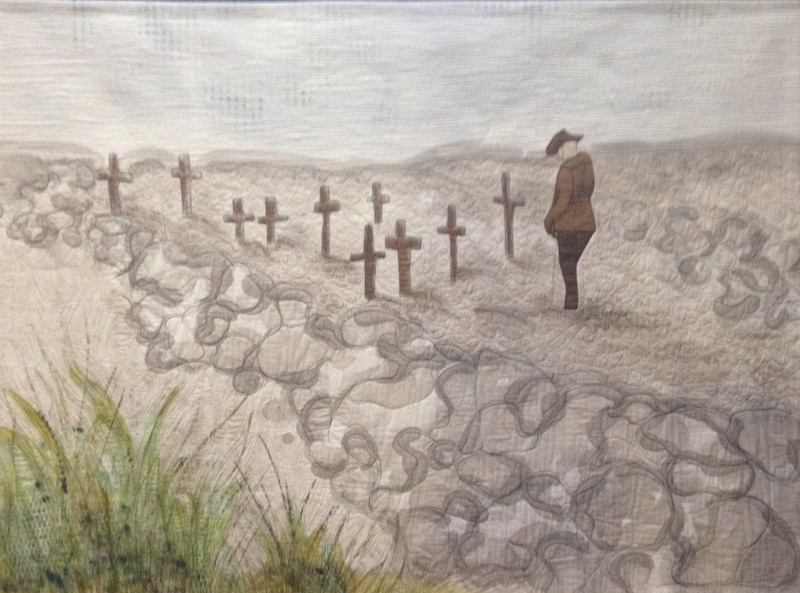 What I can show you are parts of ‘The Gallipoli Quilt’ by Lucy Carroll. 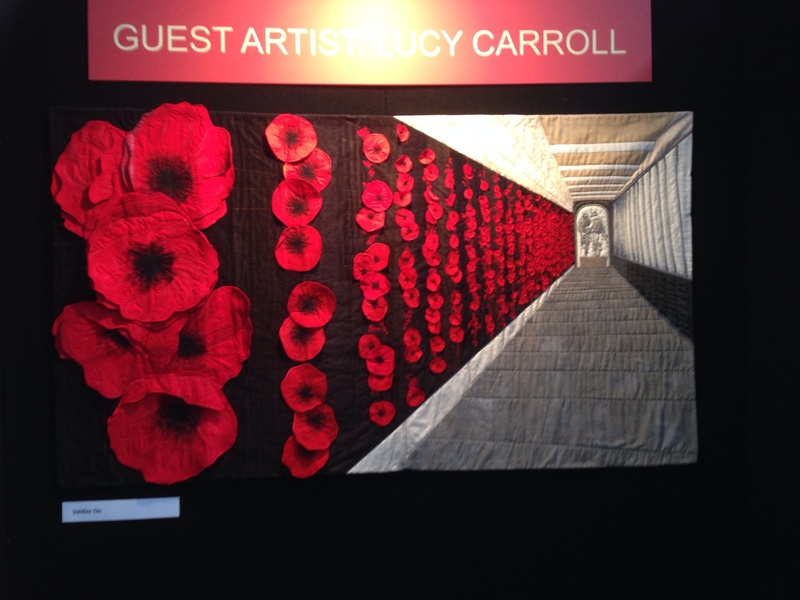 Lucy was the guest artist at the recent Melbourne quilt convention. 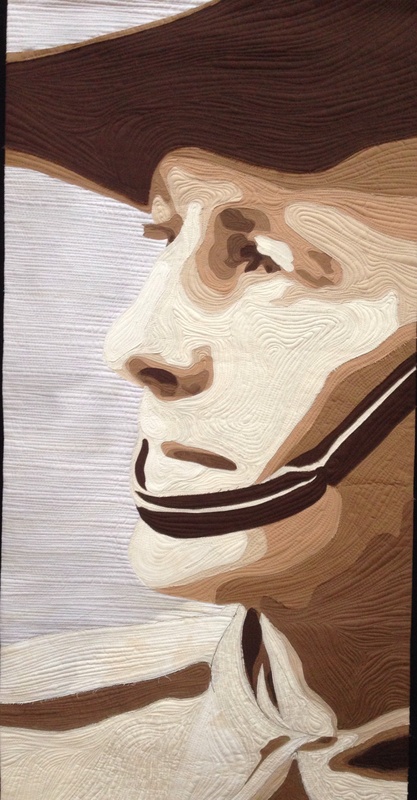 She is a veteran of the RAAF so has combined her love of quilting with personal experience to create an impressive 12 metre long artwork. 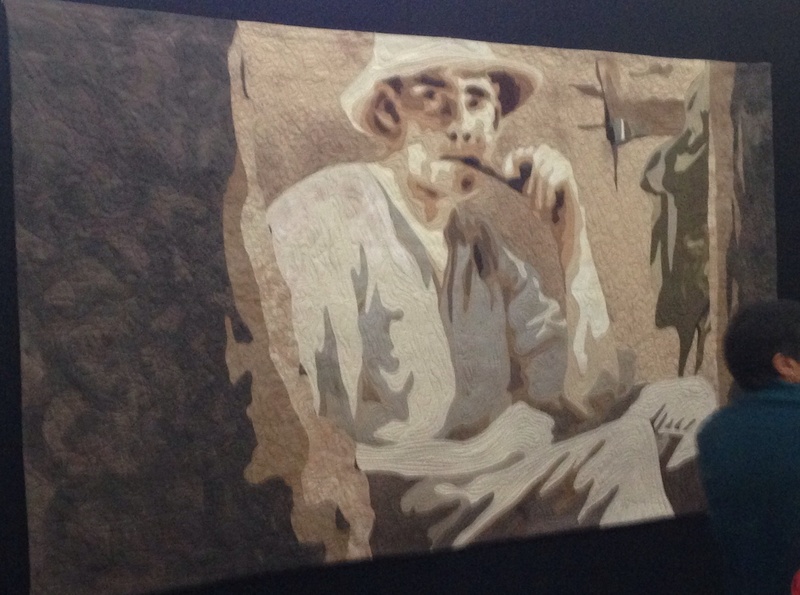 The quilt is actually made up of ten panels, each one illustrating an aspect of an Australian soldier’s life from his dockside departure to his arrival at Gallipoli Cove. 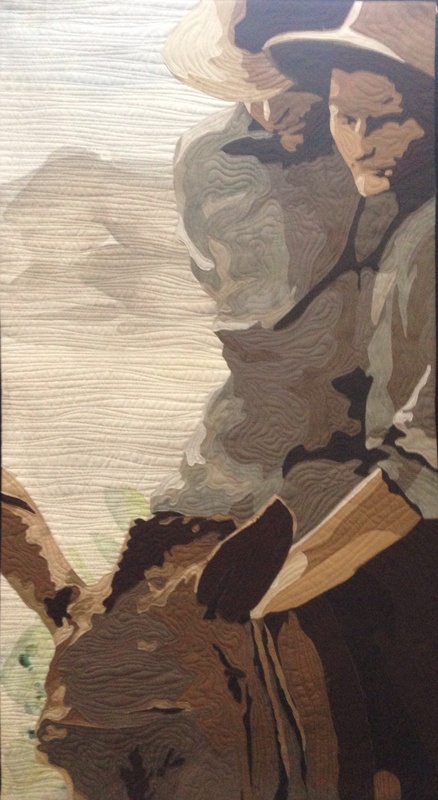 The quilt was one of the major attractions at the show so it was difficult to take a photo without a crowd of people around each panel. 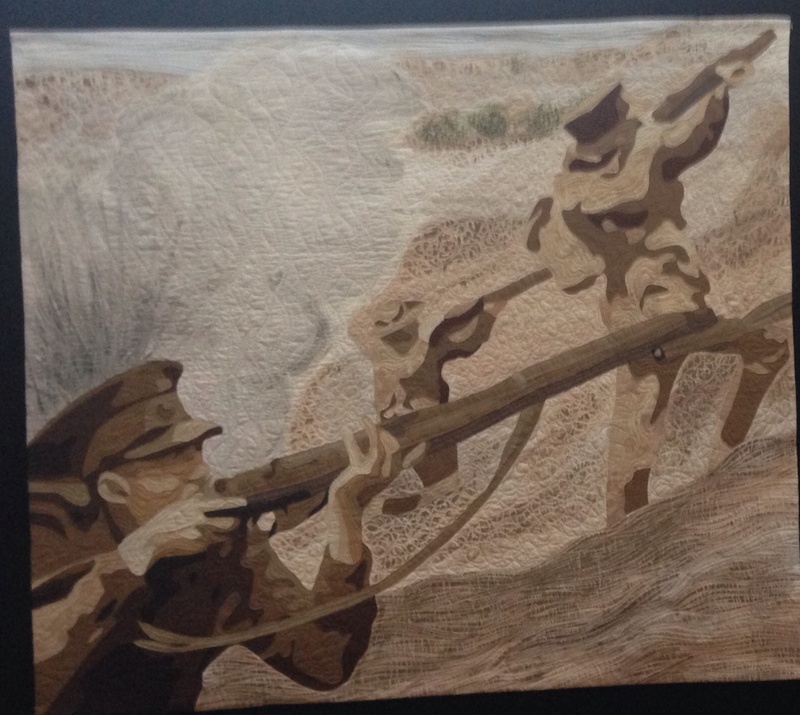 Nevertheless, infused with the Anzac spirit of persistence I did manage to get these images. I hope you enjoy them. For more information about each panel and for more photos go to Lucy’s website. 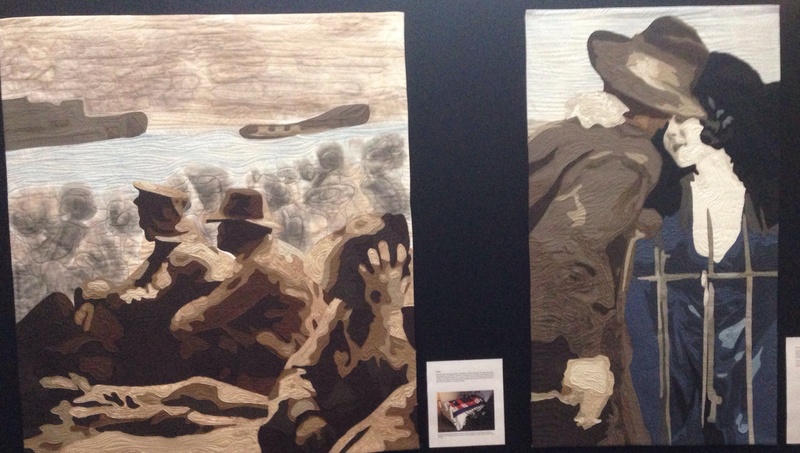 This entry was posted in Quilt shows and tagged Lucy Carroll, The Gallipoli Quilt by Apatchy Kaye. Bookmark the permalink.